Team — Expert Stewardship, Inc.
Dr. James A. McKinnell is an infectious disease specialist with specific research interests related to clinical management and prevention of healthcare-associated infections, particularly infections related to vancomycin-resistant enterococcus (VRE), methicillin-resistant Staphylococcus aureus (MRSA), and Carbapenem-resistant infections, particularly CRE. He has published over 40 papers, many focusing on optimal uses of antibiotics and how we can better understand antimicrobial resistance in our communities. Dr. McKinnell has worked with skilled nursing facilities in Los Angeles and Orange County on practical strategies of infection prevention and antimicrobial stewardship. He is an invited speaker at the Infectious Disease Association of California (IDAC) Practical Antimicrobial Stewardship program and serves on the Los Angeles County Healthcare-Associated Infections and Antimicrobial Resistance Committee. Dr. McKinnell’s academic background ensures that stewardship programs remain not only in compliance with current recommendations, but our programs are on the cutting edge of best practices. Dr. McKinnell achieved his medical degree at Columbia University College of Physicians and Surgeons. He completed his Infectious Disease Fellowship at the University of Alabama at Birmingham and an Internal Medicine Internship and Residency at Harbor-UCLA Medical Center. Dr. Philip Robinson is board certified in Infectious Disease and has developed a career of real-world, practical interventions relating to both infection prevention and antimicrobial stewardship. He serves as the medical director of infection prevention and hospital epidemiology and the chair of the antimicrobial stewardship programs at Hoag Memorial Hospital Presbyterian and Hoag Orthopedic Institute in Orange County, California. Throughout his years of experience, Dr. Robinson has repeatedly proven his capacity for cost saving and effective interventions in the hospital setting. Dr. Robinson is highly active in the implementation of antimicrobial stewardship in the skilled nursing setting through his participation as the California Department of Public Health (CDPH) HAI Advisory Committee Liaison (IDAC) and member of the CDPH Antimicrobial Stewardship subcommittee. Dr. Robinson has recently completed the SHEA/CDC/AMDA Infection Prevention in Post-Acute & Long Term Care Certificate Course in 2016. Dr. Robinson is also currently serving on the following state and national committees: President of the Infectious Disease Association of California (IDAC), Chair of the Healthcare Associated Infections (HAI) Workgroup of the Hospital Quality Institute, and the Infectious Disease Society of America Clinical Affairs Committee. Dr. Robinson achieved his medical degree at Michigan State University-College of Human Medicine. He completed his Infectious Disease Fellowship at USC-Los Angeles County Medical Center and an Internal Medicine Internship and Residency at Harbor-UCLA Medical Center. Dr. Robinson's research interests include topics related to infection prevention, antimicrobial stewardship, fungal infections (Cryptococcus), sepsis and malaria. Dr. Rhett Shirley is board certified in internal medicine and infectious disease. He spent his early career in East Africa which engendered a passion for the practice of high quality medicine with vigilant attention to the responsible stewardship of healthcare resources. Upon return to South Carolina, Dr. Shirley has brought that mentality to patient care, medical education and antimicrobial stewardship program management. He is involved in the daily care of patients as well as didactic and bedside teaching of medical trainees. Dr. Shirley holds leadership roles in antimicrobial stewardship across multiple health systems impacting 20 acute and long-term care hospitals in South Carolina. He has completed the Society of Healthcare Epidemiology of America (SHEA) antimicrobial stewardship training course and has been an invited speaker at the South Carolina Antimicrobial Stewardship Collaborative. He is the director of Expert Stewardship, Inc in South Carolina. Dr. Shirley achieved his medical degree at the Medical College of Georgia. He completed his Internal Medicine Internship and Residency followed by Infectious Disease Fellowship at the University of Alabama at Birmingham. Dolly Greene is a registered nurse board certified in infection prevention and control. She is the Director of Infection Control Programs for Rockport Healthcare Services. Dolly has worked in the field of infection control for over 25 years and has been involved in long term care for over 30 years. Dolly is an infection prevention consultant for Expert Stewardship, Inc.
She is a member of APIC, and served as the Chair for their Long-term care section for 2 years. She is also part of the APIC Consulting faculty for trainings in LTC. Dolly was one of the creators of an intense training program for Infection Preventionists in LTCFs in California. She collaborated with public health officials in California along with the California Association of Health Facilities to present this first-time 2-day training in 2012. This program is now an annual event which takes place in several venues in California. Dolly has spoken at conferences and conventions for various organizations throughout the United States. Dolly was the 2013 recipient of the SHEA (Society for Healthcare Epidemiology of America) Advanced Practice IP Award which was given to her at ID Week October, 2013 in San Francisco. Dolly is one of the co-authors of the APIC Infection Preventionist’s Guide to LTC which was released in 2013. Dolly is the CEO of Infection Prevention and Control Resources LLC and provides intense infection control training, monthly, for nurses in long-term care in various locations throughout California. Angela Vassallo is the Director of Infection Prevention and Epidemiology at Providence Saint John’s Health Center in Santa Monica, CA. She is Faculty at West Coast University in Los Angeles, CA where she teaches MPH, MHA, and MSN students in health research methods and infectious disease epidemiology. She is developing the first Master’s degree program in Infection Prevention at Great Falls University in Montana. Angela is certified in Infection Prevention and Control and is an APIC (Association for Professionals in Infection Control and Epidemiology) Fellow. Angela is the President of California APIC and a Past-President of the Greater Los Angeles APIC chapter. She is the Vice-Chair of the national APIC Communications Committee. She consults in clinics, nursing homes and private practices on Infection Prevention. She was nominated Healthcare Manager of the Year (2014) by the Los Angeles Business Journal. She speaks French, Spanish and Italian. She has a BA in International Service from the American University in Washington, DC, a Masters in Health Care Management from West Coast University, and a Masters of Public Health in International and Family Health from the University of Texas Health Science Center, School of Public Health in Houston, TX. She is often interviewed about infection prevention issues including this interview with comedian Judy Greer on the topic of The Dirty Truth About Public Restrooms. Dr. Yamaki is a registered pharmacist and is currently an Assistant Professor of Pharmacy Practice (Infectious Diseases) at Chapman University School of Pharmacy. He is a pharmacist faculty in residence at Hoag Memorial Hospital where he aids in Antimicrobial Stewardship activities. He is a consultant for Expert Stewardship, Inc.
Dr. Yamaki’s area of research interests is in Infectious Diseases and Antimicrobial Stewardship. His research combines both molecular and pharmacological approaches to address the therapeutic challenges of treating multidrug resistant and highly virulent bacteria. To date, Dr. Yamaki’s research has focused on the epidemiology of Methicillin-Resistant Staphylococcus aureus (MRSA) and Extended Spectrum Beta-lactamase (ESBL) producing organisms, patient outcomes and host response in various types of infections, and the effects of inadequate antibiotic dosing on virulence and disease severity. Thus far his research methods have encompassed in-vitro cellular and in-vivo murine models of infection, epidemiologic and retrospective patient outcome studies. 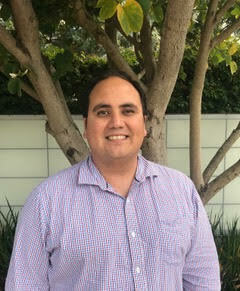 Dr. Yamaki completed his Bachelor’s degree in Microbiology from California State University Dominguez Hills. Subsequently, he completed his PharmD and PhD degrees at the University of Southern California School of Pharmacy. Dr. Linda Khatchatourian is a registered pharmacist and a board-certified pharmacotherapy specialist (BCPS). She is the infectious disease and critical care pharmacist at University of Southern California Verdugo Hills Hospital. Dr. Khatchatourian has completed a Bachelor’s of Science degree in Biology from Loyola Marymount University. Subsequently, she earned a Doctorate in Pharmacy at the University of Southern California. She completed a post-graduate acute care pharmacy residency training from Sharp HealthCare System in San Diego, California. After completion of her residency, she earned a certification in Antimicrobial Stewardship from the Society of Infectious Disease Pharmacists (SIDP) and earned a board certification in pharmacotherapy specialty from the American College of Clinical Pharmacy (ACCP). Currently, Dr. Khatchatourian’s provides her clinical expertise in infectious disease, including being the antimicrobial stewardship program leader at USC Verdugo Hills Hospital. She provides consultative services for Expert Stewardship, Inc.
Danielle is a graduate of the Auburn University School of Pharmacy. Following graduation, she completed an ASHP accredited Pharmacy Residency at UAB Hospital. During her 21 year career as a UAB Hospital pharmacist, she practiced in many areas including; central pharmacy, internal medicine, bone marrow transplant, hematology/oncology and infectious disease. In addition to clinical practice, she served from 2004-2012 as the Coordinator for Pharmacy Residency Programs, Student Clerkships and Program Director of the Post Graduate Pharmacy Residency Program. From 2012- January 2017, she was the clinical specialist for Infectious Disease/Antimicrobial Stewardship. Professional memberships include the Infectious Disease Society of America, American Society for Microbiology, and Society of Infectious Disease Pharmacists. Danielle is board certified in pharmacotherapy by the Board of Pharmaceutical Specialties and was awarded Added Qualifications in Infectious Disease. In February 2017, she founded Solutions for Antimicrobial Stewardship LLC which provides support to organizations seeking to implement or improve antimicrobial stewardship programs. Dr. Ravina Kullar is an Infectious Diseases pharmacist and researcher. She completed her infectious diseases fellowship and acquired her MPH in statistics and epidemiology at Wayne State University (Detroit, MI). A global expert in antibiotic resistance, she has spent over 10 years researching novel ways to optimize the treatment in patients with antibiotic resistant infections. She is actively leading strategies worldwide to control the escalating rate of antibiotic resistance, having collaborated with the Centers for Disease Control and Prevention (CDC), the World Health Organization (WHO), and national organizations such as the Infectious Diseases Society of America (IDSA). She serves as a consultant to Expert Stewardship, Inc.
Dr. Kullar has published over 30 research papers addressing solutions to this global threat, and has been an invited speaker worldwide, educating both healthcare professionals and the public on antibiotic resistance. With her first TED talk going viral discussing solutions to antibiotic resistance, she has been invited to deliver another TED talk in Detroit 2018. 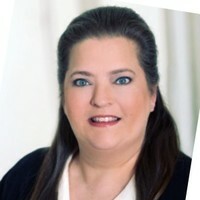 Extending her inpatient care expertise to the long-term care setting, she has been a voice for nursing home residents in creating a roadmap to help long-term care facilities (LTCFs) in implementing antibiotic stewardship practices in their institution (https://academic.oup.com/cid/article-abstract/66/8/1304/4645810?redirectedFrom=fulltext). Dr. Kullar is passionate about empowering each individual worldwide with the educational tools to join in the fight against antibiotic resistance. As the Chief Operating Officer at Expert Stewardship, Tracy McKinnell is responsible for the operations of the company. She brings more than 25 years of experience in strategic planning and business development driving transparency, visibility and accountability while creating collaborations that accelerate change and innovation. Her experience and leadership have been focused on developing and delivering technology-driven business services and solutions, providing outstanding client service, and driving profitable revenue growth. Ms. McKinnell’s academic credentials include an MBA in Finance and International Business from The Peter F. Drucker Graduate Management Center at Claremont Graduate University. Arnold Mendoza has over 20 years of experience in the administration, business and data analytics of of healthcare offices, hospitals and skilled nursing facilities. This includes experience as a front-line caregiver in long-term care. Mr. Mendoza responsibilities for Expert Stewardship, Inc. include management of data, coordination of committee meetings, management of accounts receivable, payroll and regulatory compliance.